When you sponsor a Fur-Ever Friend, you help provide safe shelter, life-saving veterinary treatment, and much-needed TLC for the thousands of homeless animals that come to our shelters each year. Animals like Frannie and Apollo, Frisco and Miss Catty. Fur-Ever Friends make great gifts for birthdays, holidays, and other special occasions! Kids and adults alike will love this unique gift that gives back. Upgrade to the $50 level and your recipient will also receive a cuddly plush version of their Fur-Ever Friend! 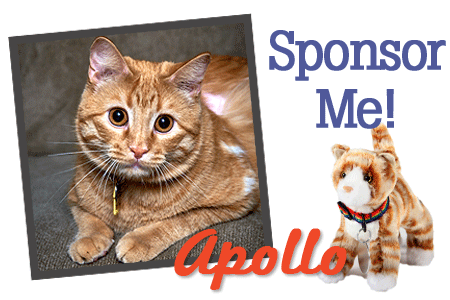 Apollo arrived at HSMO as a hungry stray, suffering from a large painful wound on his chest. 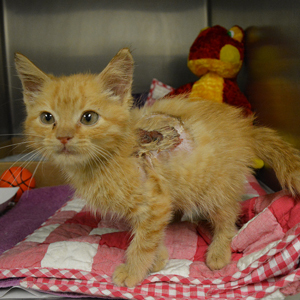 Weeks of careful wound treatments and antibiotics from HSMO staff combined with lots of TLC in a foster home helped Apollo heal. Sweet as honey from the day he arrived, Apollo now enjoys a forever home where he’s the center of attention. 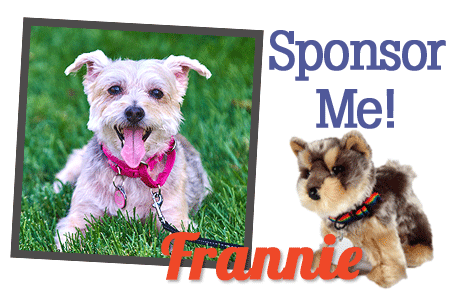 Thanks to a call from St. Louis County police, Frannie is alive today. Officers found Frannie wounded, covered in blood. 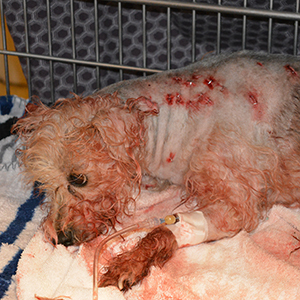 HSMO’s Animal Cruelty Task Force rushed the poodle mix to HSMO’s Macklind Ave. Headquarters, where veterinarians found 19 stab wounds. Antibiotics, fluids, pain medication and surgery were all needed to give Frannie a second chance at life, so she could find a wonderful forever home. 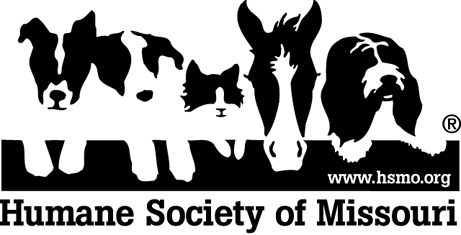 The Humane Society of Missouri’s Animal Cruelty Task Force brought Frisco to the Macklind shelter when he was discovered by law enforcement during a police investigation. 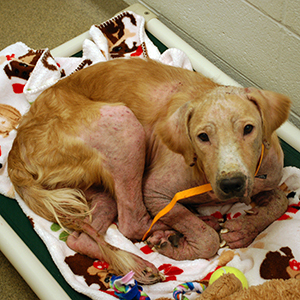 Frisco was underweight and suffering from mange and skin infections. He required weeks of careful treatment with several medications and special baths. 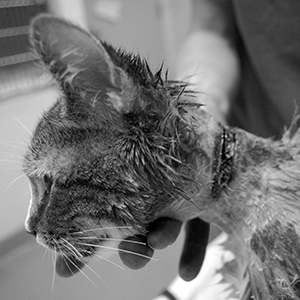 When Miss Catty arrived at HSMO, our veterinarians discovered a tight rubber band wrapped around her neck, making it difficult for her to eat or drink. She was having trouble breathing, and she couldn’t even meow. Thin and dehydrated, she was given fluids as well as medication to ease her pain and fight infection.